The Kenwood DNX range is a customer favourite, reliable and easy to use. Powered by Garmin navigation, a name you can trust, you'll know that your journeys will be well guided. 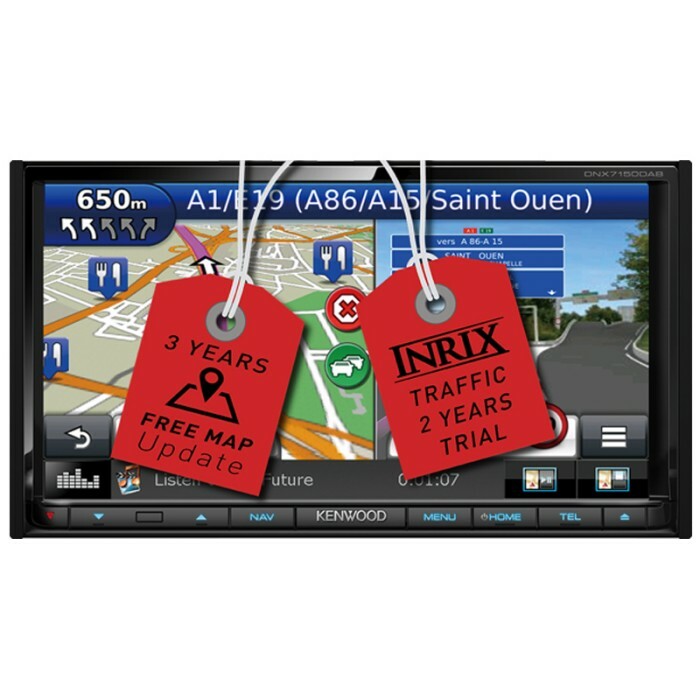 The models also come with a 2-year free INTRIX traffic update (via your smartphone) and 3 years of mapping updates. How much do u chsrge for fitting this in a Nissan juke 2014? does this have a facial slot to take SD card? How long has this been on the market? Thanks for your question, the SD slot is behind the sliding screen, this is an older model & may no longer be available. How much is installation ? Hi will this fit my juke nissan 2014? Hi, thank you for your question. 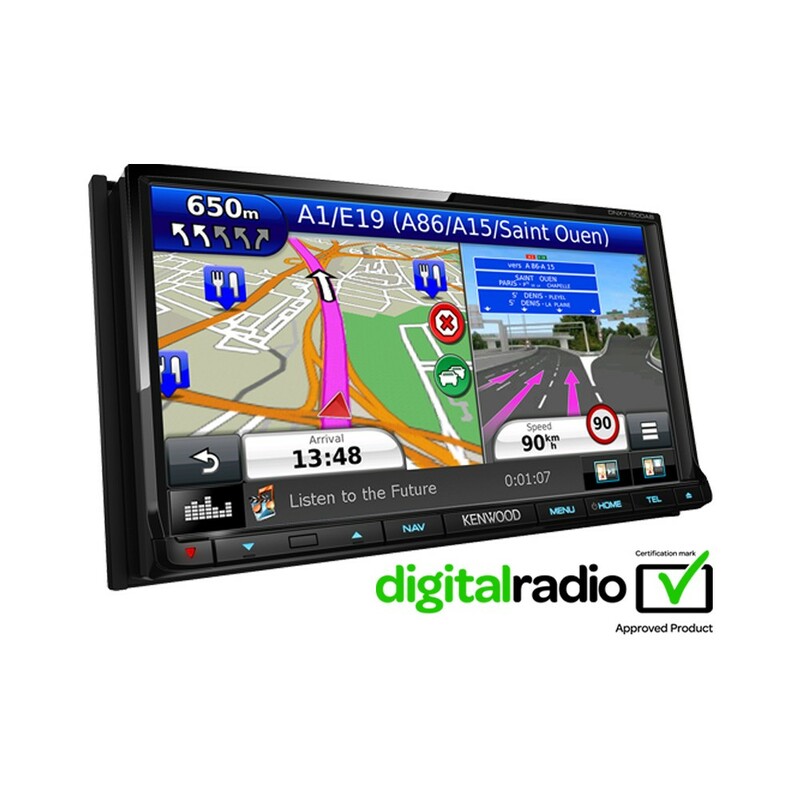 Yes the DNX-7150DAB will fit your Nissan Juke 2014, anyway you will need some additional parts. Please find below all the parts required to retain also the steering wheel controls. Hi, is this model is still available? I'm asking because few weeks ago I bought lowest model and was out of stock, today even the lowest model is still on your site for sale. hi there, yes this unit will fit fine into a kia. what you will need i will list below for you. hi there, the parts you require are special order so unfortunately we do not have them on our website. 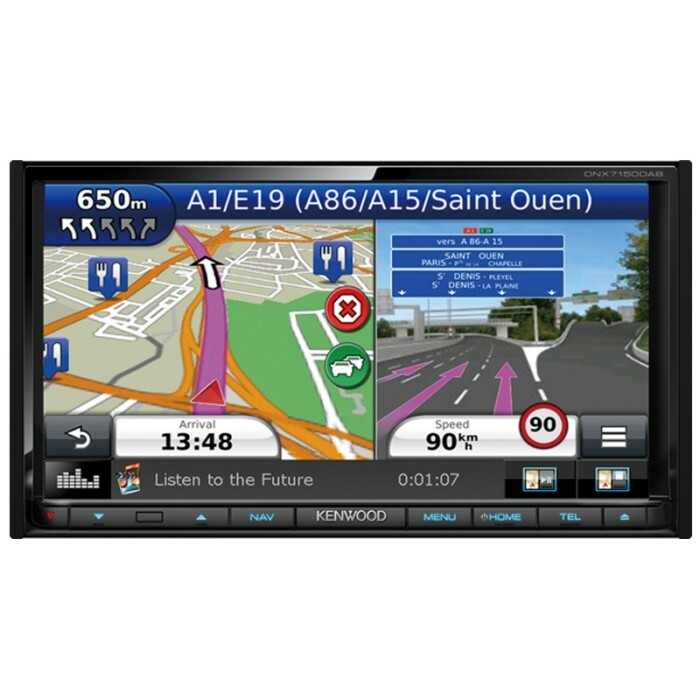 an estimation for price would be around �140 on parts. if you call us up we will be happy to supply these parts for your vehicle. Will this fit? And do you have the surround for it if required? Rear camera? And stereo control adaptor? How much are they? Many thanks Matt. Thanks for your question, we can only find a fascia fitting kit from 2011 onwards, the stalk adapter is listed below & would vary by store, if the fitting were enabled then there is a rear camera option. hi, im thinking of buying this. can i mount this on to an E46 BMW? yes a double din can be fitted into your BMW e46, but alot of modification is also require, does your car have the factory sat nav or does it have the standard unit without the screen, the heater matrix behind the stereo will need the cover cutting and remoulding, then resealing to make a stereo like this fit, please be aware that this needs to be done properly otherwise you will end up damaging the car and possible the radio. Does this fit into the fiat scudo 2011 van? And will it need any additional parts? Thanks in advance. DOES IT FIT TO MY CAR ?? This can be installed in your Mitsubishi Outlander. You will need the following parts. 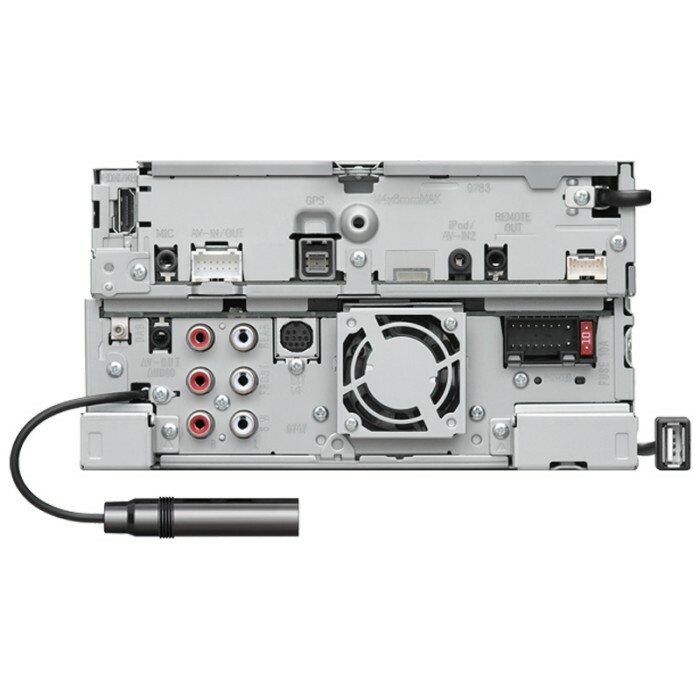 Hi will this fit my Mazda cx7 with Bose system or will i need an adaptor for the bose? And also will the steering controls still operate? Thank you. 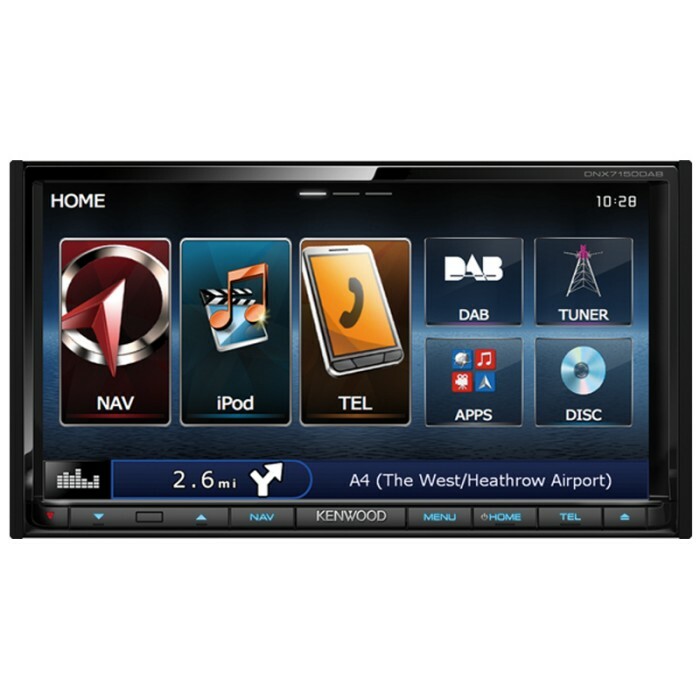 I'm fitting this dnx7150dab in a Mitsubishi Outlander 2016 model, do I need any other wires than included? Don't need facia adapter as will fit in dash as is. Steering wheels has controls.